Karate sticker. Do you love this martial arts activity? Why not take a look at our range of karate stickers. 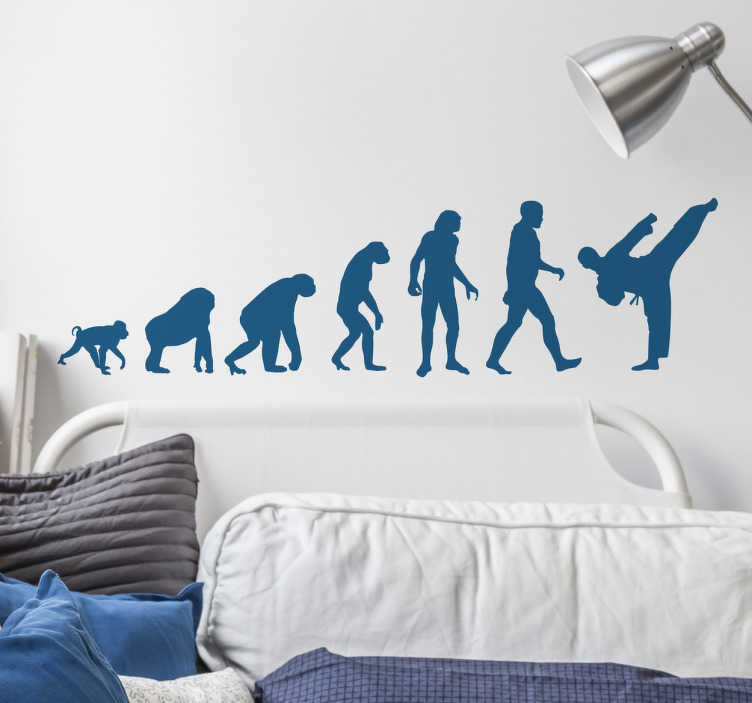 This wall sticker consists of the evolution of man throughout the centuries to a man doing a karate kick. This sticker is available in a variety of sizes and colours. This design is suitable for decorating your karate dojo, bedroom or office.